Vintage Cabinet Cards, taken in 1889 to 1890 (novella is set in 1890), used to visualize my characters in the writing process. I selected vintage cabinet cards (late Victorian-era photographs) that had luckily been dated within a year of my book’s setting. Yes! I could envision correct styles, hair, “flowerpot” hat, and corset-enhanced lady’s figure. I’ve used modern pictures, at times, but these two simply fit. 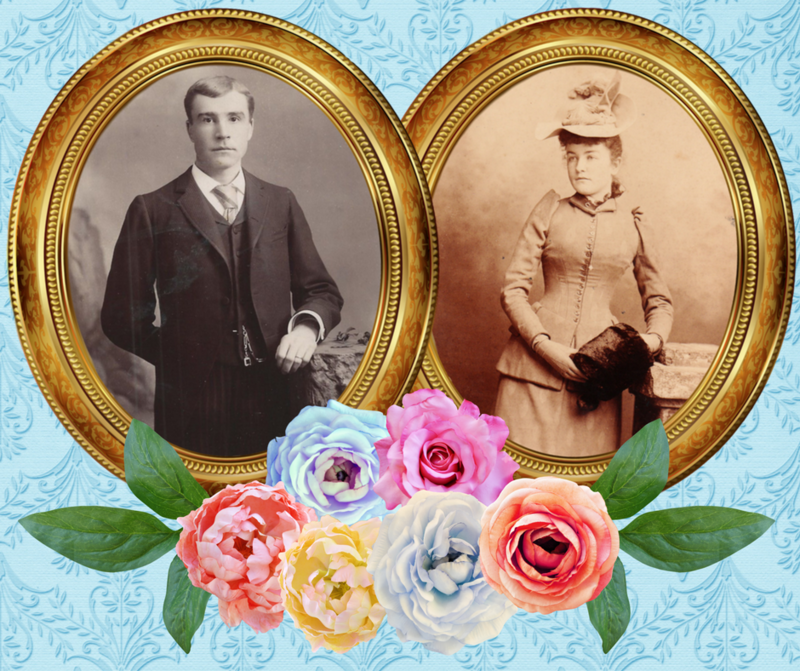 I knew the moment I located each of these two vintage images, I’d found Henry and Isabella. Ladies and gentlemen [Henry stands immediately and removes his hat, keeping the lining toward himself], allow me to introduce Dr. Henry Merritt, DDS. [Henry responds with excellent manners.] Henry’s mama made sure he learned every bit of decorum she could teach him. But Henry’s so much more than a handsome face and gentlemanly comportment. Anyone in 1890 notices Henry is clean-shaven at a time when heavy mustaches are popular. [Note: both his newly shaved face and the gold watch chain sparked elements of his personality.] As the image shows, Henry is tall (six feet, 1/2-inch, and 190 pounds of lean muscle due to his work during college). 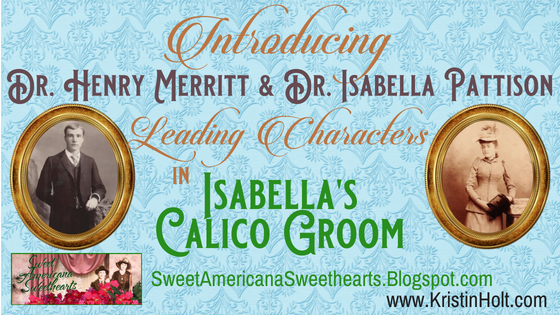 As usual, much of the “back story”—who he is, where he was born, the big events in his life that make him see the world differently—never surfaced in Isabella’s Calico Groom, yet much of it does. We learn he graduated from Pennsylvania College of Dental Surgery in 1886. He graduated at age 24, about 4 years before the book opens. As the story begins in the early months of 1890, Henry is 28. Why would a handsome, well-mannered dentist, at the advanced age of 28, be unattached? A necessary question even though they’re living in 1890 Wyoming Territory where men significantly outnumber women—because that’s just too easy. In this time and place, the majority of men and women prize marriage as the ideal, and the majority make choices leading them to that eventuality. Henry would've been married if he'd wanted to. Henry knows precisely the kind of woman for him. Once his income stabilizes so he might support a family, he’ll find that right kind of woman and marry her. (I had a bit too much fun chuckling at Henry’s delusions. I mean, really—can anyone schedule when they’ll fall in love? If not love, then can anyone pinpoint when the “One” will enter stage left?) Henry had better learn flexibility, and to see things as they really are, before he loses his one chance at happiness. Now, allow me to introduce the story’s heroine. Dr. Isabaella M. Pattison, DDS. Try not to show surprise as she shakes your hand like any businessman would do. Not entirely ladylike, but then she’s been accused of her lack of ladylike charms. At five feet and 1/2-inch (don’t forget the half-inch, if you please! ), and 105 pounds, she’s nearly elfin—even in her very stylish 1890 high heeled boots [history shorted women both before and after this narrow window when high heels had been tolerated (pun intended)]. Her small, nimble hands have much dexterity (a lovely thing given her chosen career). Her gracious warmth pulls others to her. Children trust her easily, as do their mothers. She makes friends easily... but that doesn’t mean her professional education was easy, nor that she’s found dentistry easy for a female. Isabella may have had a difficult time finding a place where she belonged, but once she visited her “Lady Professional” pen pals in Evanston, Wyoming, she knew she’d found home. Medical doctor Naomi Chandler (series book 1) and attorney Sophia Hughes (series book 2) have become the closest of friends. The ladies and their husbands have welcomed Isabella into their tight circle of friendship, and she’s nearly contented. Isabella knew what she was doing—choosing to set aside marriage and family—when she chose to pursue dentistry as a career. Now at age 30, she’s at last stumbled across a man who piques her interest. As a dentist, Henry proves a brilliant conversationalist. He introduces perspectives she’s not considered before. He’s charming, kind, and most insistent that he’ll wed a woman who makes their home her castle and life's work. Henry and Isabella discover they can work together, but do they, a woefully mismatched pair, have a chance at love? Ultimately, the romance—no matter what else is going on—is about the development of attraction, affection, and commitment between the main characters. “Other stuff going on” could be the mystery, the suspense and danger, or the situation that brought the characters together. 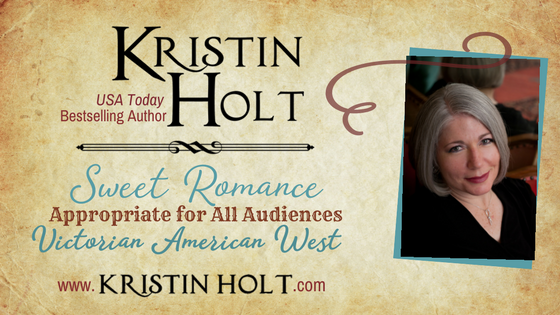 As the romance is all about the romance, that means writers must know what makes the characters hesitant to fall in love and live happily ever after. Because a story that progresses like: meet, fall in love, commit-- is the most boring story ever. Readers (and authors) know conflict is key. The romantic couple must face obstacles that challenge their innermost beliefs, rattle their cages, and force them to address the “baggage” that’s holding them back from living in full sunlight and happiness. A man who’d been jilted the day of his wedding by a non-committal fiancée would be hesitant to put himself in the same situation again. Why set himself up for more pain? Sometimes “life experiences” that cause the character to carry around heavy “baggage” are caused with or by someone else—that non-committal fiancée, for example. Sometimes those false beliefs are caused by what a character witnesses, such as parents who fought all the time and were miserable, hence the destructive belief that “marriage is pain-filled and dreadful.” We’ve all read books where something like either of these examples occurs, and the hero (or heroine) promises themselves they’ll never allow anyone too close, ever again. I imagine we’ve all read more subtle circumstances that lead to the same destructive thinking. For example, “You should fix your teeth, Kate. You’re lovely when you smile.” The “lie” Kate carries around, that prevents her from forming attachments, could be as simple as “I’m not attractive. My teeth are crooked. Men do not find me appealing.” Damage to someone’s self-image can occur in one brief statement from someone who is believed (or desired to be) trustworthy. Magical things happen in fiction when the right Hero is brought into contact with the right Heroine. Like interconnecting pieces of a puzzle, their back stories, their experiences, their heartaches, and their lies fit together perfectly. This doesn’t mean he’s the one many who sees beyond her need for braces. Instead, this is the man worth fighting for, whose presence forces her to face her fear, over and over again until she strikes out or triumphs (and in a romance, we know which ending... we just don't know how, or what she will experience before she earns that reward). Likewise, she’s the girl most prepared to show him that all he believes are fundamental truths are actually lies. He’s learned the hard way that women don’t say what they mean until it’s too late. He witnesses her intention to leave him in everything she says and does—even though she has no such intention. Are you interested in writing? 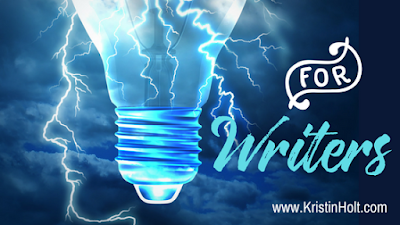 You’re invited to browse my “For Writers” Page. 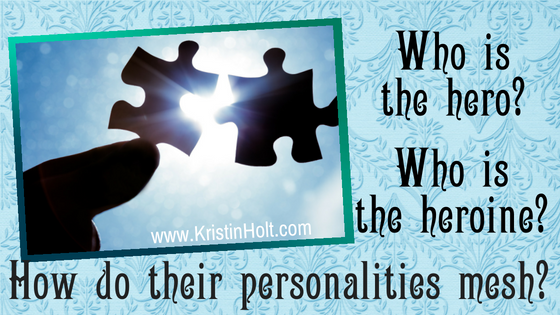 What have you noticed about the personalities of compelling couples? How do they ensure the other person’s eyes are opened, and they see the truth? How do they bring out the best in each other (perhaps after the unveiling of the worst)? Please scroll down and comment. We’d love to hear your insights! 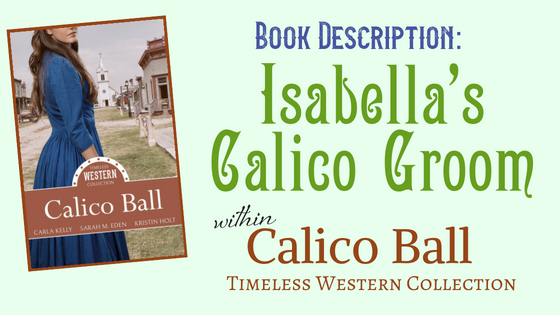 Please visit my website’s page about Isabella’s Calico Groom (within Calico Ball: Timeless Western Collection). You’ll find easy links to a dozen additional articles about true-to-history details: calico balls, dentistry in 1890, women in men’s professions, and much more. 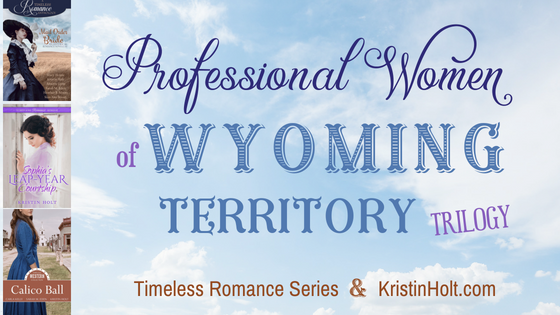 Calico Ball: Timeless Western Collection publishes in 4 days! (7-10-18) This ebook will also be available on Kobo, Google, Nook... This Collection contains THREE 100-page novellas--and I'm thrilled to be published alongside Sarah M. Eden and Carla Kelly. Note: Book 2 is currently on sale for just 99-cents. I'm honored that this title, Sophia's Leap-Year Courtship is a RONE Awards 2018 Finalist. Hurry! The sale will end this Sunday! Pleasance? Is that a real name? 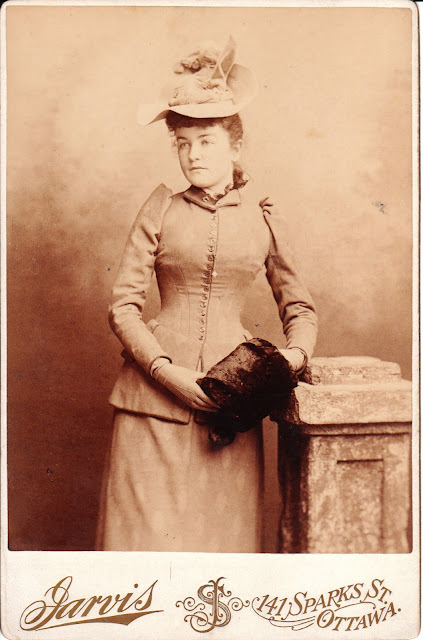 Victorian Attitudes about Female Education and conflict in the Historical Romances we Love! What a fascinating story! Was the lady dentist's husband a dentist, too? Thanks for your kind words, Doris. Way cool! I've found a few women whose husbands supported their desire (mid- to late-19th century) to study dentistry, taught her in the dental office, and allowed her to practice alongside him. One of those essentially apprenticed lady dentists was finally granted entrance into a dental college and after a short stint (less than a year, if I remember correctly), granted a Doctor of Dental Surgery (DDS) degree. I'm grateful that today women have a fair chance of qualified entrance into any professional program they choose. Thanks so much for the reply, Doris!